Getting revision done isn’t an easy feat. In an ideal world, we’d just sit down with a textbook and soak every number of Pi into our minds with one single glance of a page. But we’re not the sponges we’d like to be, and remembering information takes a lot more than a swift scan. Be prepared for your life to change with this ultimate revision tool guide! Studies show that with the sheer number of modern-day distractions, it can even take up to 5 reads of a page to retain the information on it - but we couldn’t think of anything worse. If you're looking for the best way to revise, you're in the right place! 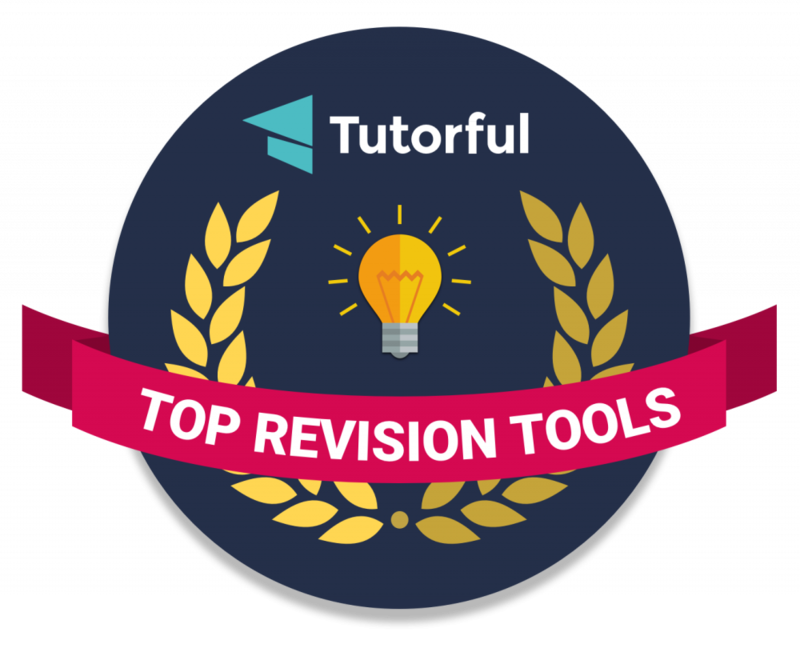 This revision tool guide will take you through each stage of revision and recommend the best tools that actually work and resources to help you be super productive and ace those grades. If your mobile phone is your best frenemy, then you’ll find our top productivity tools super useful to avoid all those niggling distractions and all the best tools to use if you’re wanting to find out how to stop procrastinating. Perhaps you haven’t yet found the best websites and apps to learn all your key topics, then we have just what you’re looking for! We've even got your back if you're looking for revision techniques to suit you. We've organised our revision tool guide into mini-chapters so you can choose all the apps and tools to help you with each aspect of revision: productivity, planning, note-taking, subject-specific revision and stress management. If you're looking for a helping hand with a particular subject, an online tutor to help boost your results by up to 3 whole grades from only £15 per hour! We live in a modern world where attention is a commodity. Cold Turkey is an awesome application, allowing you to focus on the task at hand by blocking external distractions, whether that be completing a piece of coursework, or making it through that last batch of flashcards. Cold Turkey provides the tools for you to block out social media, apps, and games that distract from your work and waste time, while still providing access to the aspects of technology that continue to be useful. While there are many useful tips and tricks to studying for an exam or writing a paper, there is no real substitute for putting the time into the study or the writing. Cold Turkey Blocker and Cold Turkey Writer help you do just that. Wondering how to stop procrastinating on your mobile phone? Wonder no more. Forest is an intuitive app here to help you when you’ve got lots to do - and no more patience. The Forest concept allows you to grow, and sow your own seeds of productivity, that only grow when you’re not on your phone. Simply set a period of time you want to focus on revision and as time goes by, the seedling will grow. However, if you use your phone, your tree will wither. The less distracted you are, the healthier your trees will become, so you can grow your own productivity forest.You can even earn coins in the app, that enable you to plant real trees on Earth in collaboration with Trees For The Future. Engross is a complete time management tool with an awesome key feature: the unique 'Hit me if you get distracted' method, that helps you to retain focus while studying and improves concentration and engagement with each session. Most of the app’s features have been designed with the student mentality in mind. Knowing the importance of revision in studying, Recap & Revision Timers let you set aside a fixed time for revision before or after learning a topic. Highly customizable timer settings allow studying flexibly and will help your ability to manage time more efficiently. Each topic/subject can be assigned a label and labels can be attached to each work session, letting you keep track of time spent on different subjects/topics. All in all, a truly wonderful revision app that will stop procrastination and transform the way you work! A recent study by the University of East London concluded that drinking sufficient amounts of water results in a 14% increase in productivity and reduced procrastination levels. This increased level of productivity could be the difference between the amounts of revision you do to bring your results up by a whole grade boundary. But how can you know whether you’re drinking enough water for your body? Yup! You’ve guessed it, the My Water Balance app allows you to figure out your water requirements, set reminders to up the intake, see statistics on your consumption, and see useful tips about H2O. Amazingly, this is one of the first applications supported by the Apple Watch! The application can be integrated with Apple Health to get information about your body measurement to calculate your water intake. If you’re into list making, but still struggle getting stuff done, then this app could be just what you’ve been waiting for. You can set up a list of revision tasks, and a length of time for each of them. When you start the timer, the app reminds you when to move onto the next task. It’s as simple as that! 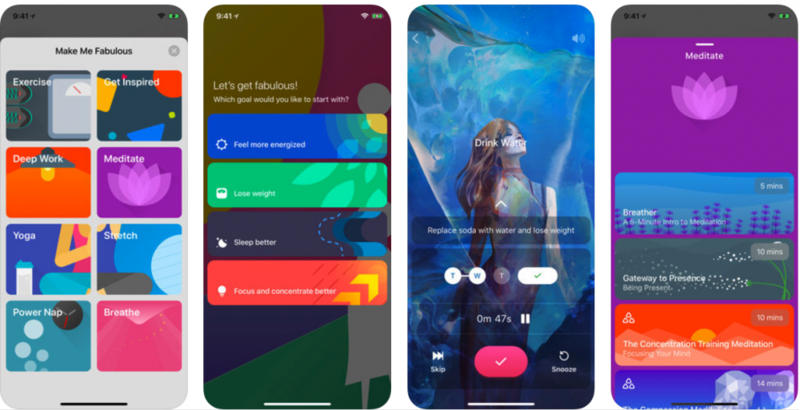 What’s more, the task list is controlled entirely with gestures - which provides a natural way to use the app whilst you’re getting your head down with revision! Another awesome time-management app developed with successful research into the best techniques to stay alert and productive. The app is fully customizable, and supports more than 30 different languages! This awesome app allows you to generate handy countdowns for all your important deadlines and exam dates. 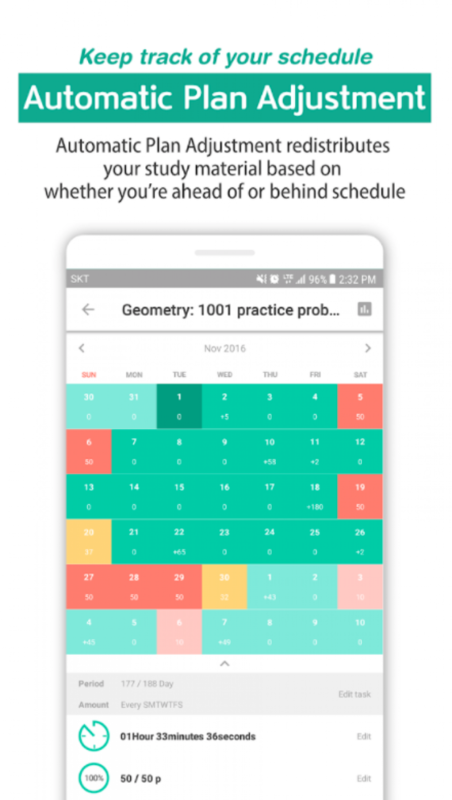 It’s super intuitive and customizable - you can even colour code your exams and pick from over 400 icons - so you’re never at risk of losing track of what’s up next! 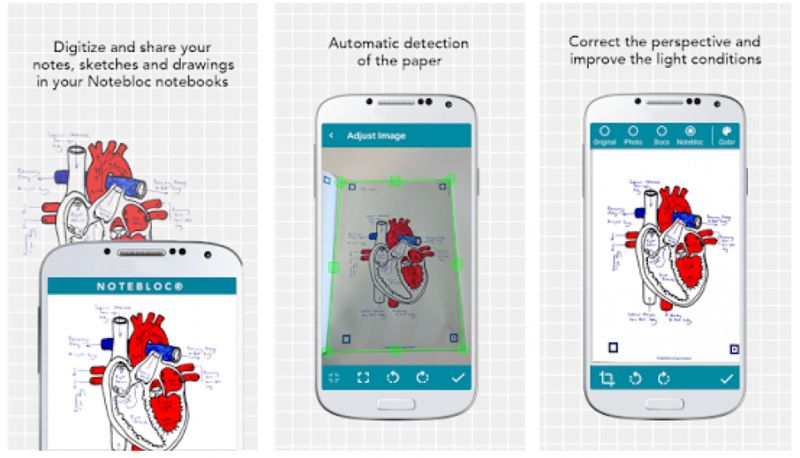 It’s the must-have app for all students, whether you’re studying at GCSE or A Level. This free cross-platform planner is designed to integrate all aspects of your academic life. See homework due dates, add revision tasks for upcoming exams, all in a free, easy to use app. The online and offline mode allows you to store your tasks anywhere, at any time, and quickly access all your important dates when exams are looming! Have you ever found yourself getting so caught up in planning your revision, that you actually get less done than if you didn’t actually bother? Todait might be the solution to your plan procrastination problems. The app’s Automatic Distribution tells you how much you should study each day to hit your goals within a set period of time. What’s more, the Automatic Plan Adjustment rejigs your revision based on whether you’re powering ahead of schedule, or need a little extra time. You can even get feedback on the app on your revision habits, that you wouldn’t have realised before. Sometimes, all you need is someone (or something) to tell you how your habits are affecting your work for you to snap into productive mode! Creating a fab revision plan and timetable enables you to take control of your study when everything seems to be piling up. This timetable gives you peace of mind that you will get everything done to the best of your ability - without overloading you with any unnecessary distractions. Grammarly’s writing assistant helps you write more clearly, effectively, and mistake-free, wherever you type. When you find yourself writing a piece of coursework last minute, Grammarly acts as a second pair of eyes that helps optimize your writing and lets you focus on how to message your ideas. 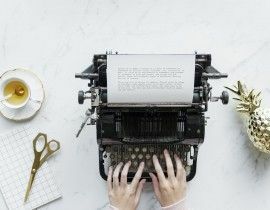 Grammarly’s feedback comes with explanations that can help point out poor writing habits and improve your writing for next time. Believe it or not, mind maps have been used for many centuries to aid studying - this is probably due to the fact that they are easy to complete without modern day tech and encourage a natural learning flow. But what happens when century-old study techniques and expert 21st-century ed-tech collide? Mind-blowing productivity. 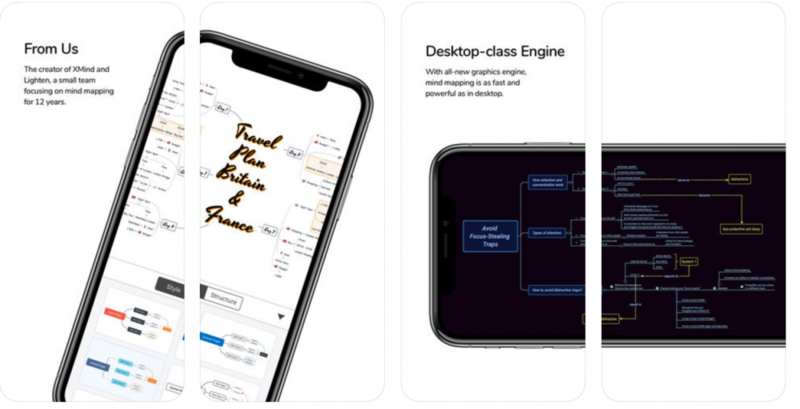 With its minimal design and intuitive user experience, there’s no wonder XMind is the most popular mind mapping tool in the world. Padlet is a digital canvas, where you can create projects that are easy to share and collaborate on. 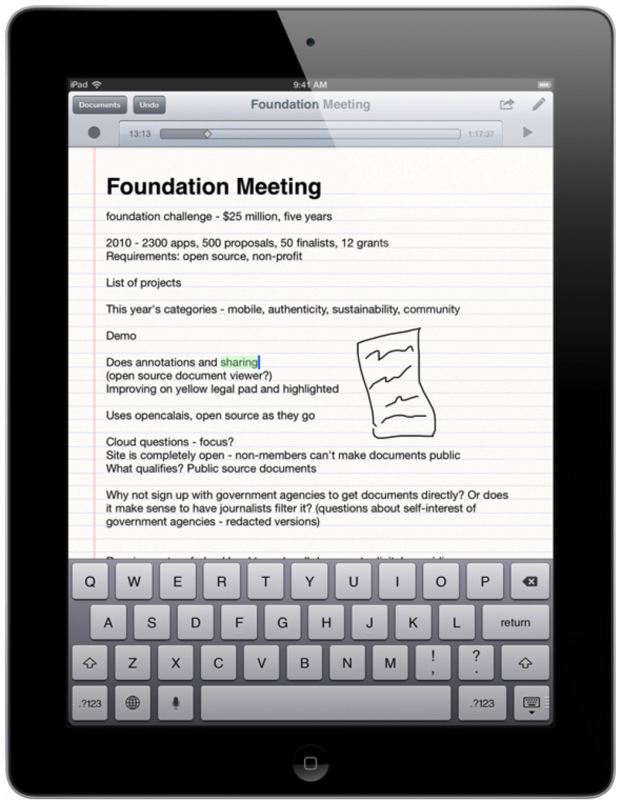 The app is perfect for creating documents with all your important revision notes and share these with your friends. The app’s customization features give it an edge over other note-taking software, especially if great looking notes motivate you to learn! SoundNote tracks what you type and draw whilst recording audio, so you’ve always got backup information if you want to listen back to your class when you’re a little more focused - or perhaps if you can’t read your own handwriting (it happens to the best of us.) Simply click the words you have typed, then you’ll be skipped to the audio that was recording at that time. You can easily share the notes via email or transfer them directly to your PC or Mac! Ever read something you wish you could read again - if only remembered the website? Yup, we hear you. 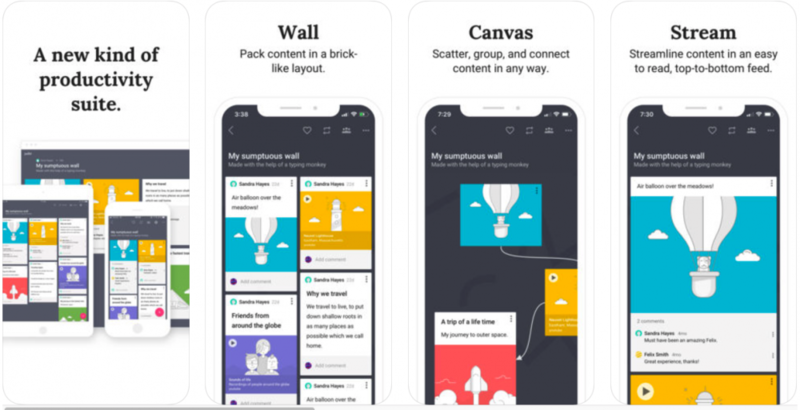 With this app you can save useful articles, videos, or pretty much anything you come across that could help you with your coursework or revision. You can view Pocket on your apple or android phone, kobo, or your web browser - making it the best way to bookmark useful resources to come back to at a more convenient time! Another wonderful audio note-taking app to help you when you’re trying to remember what was said about an important topic. Watch as your drawings, notes and text highlights during playback, helping you not only with the content - but the context it was said! 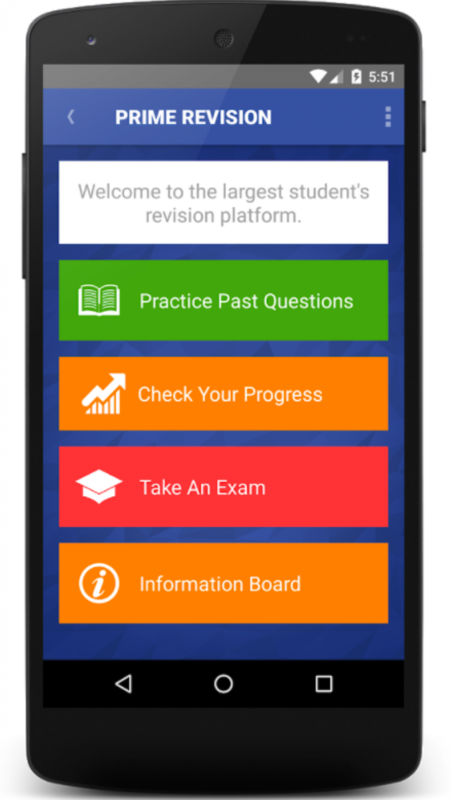 Join thousands of students using the app to make their revision more streamlined than ever! Notebloc helps students to study from anywhere, carry their handwritten notes in a digital format, be more organized, save and review their notes on-the-go and share them with whoever they want. The Notebloc app especially developed for students in first place, the app is 100% free for Android and iOS with unlimited usage to scan, save and share any notes, documents, sketches, etc. Students love its simplicity, fast performance and usefulness. The app helps them to perform better because they can scan their notes, homework, book pages, whiteboards, etc. really fast and neat, classify scanned documents using folders within the app. 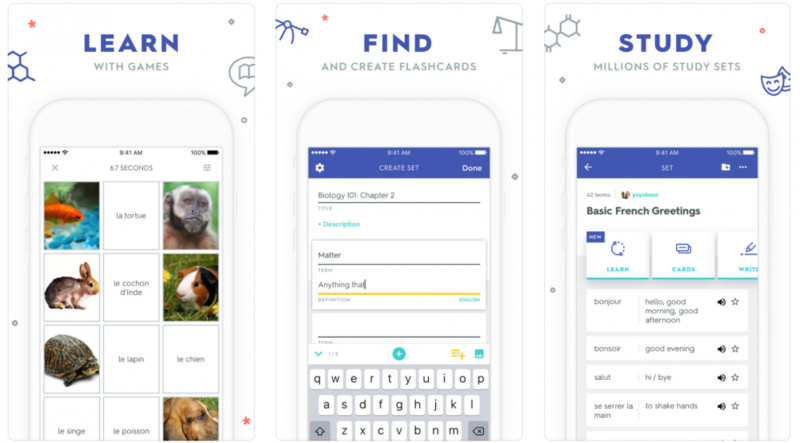 Carry their digitized notes in their phone or tablet so that they can study from anywhere, anytime and share their notes, homework, etc with their classmates or professors. 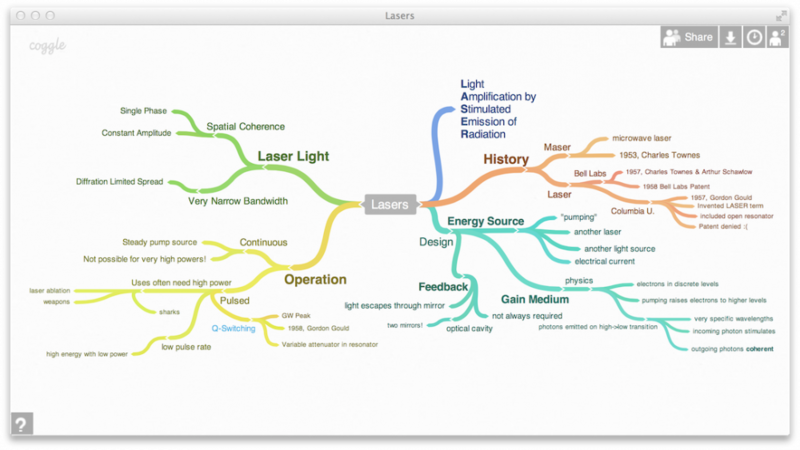 Coggle is a great way to digest and understand any topic by breaking it down into its key points as a visual diagram. This is useful for condensing lots of information, like a whole subject or topic, into just once page. Both the process of creating the diagram and reviewing the overview can be super helpful for learning! Depended on by more than 30 million people every month, Quizlet provides free activities to help anyone practise and master any topic. Quizlet allows students and teachers to create their own study sets or access the more than the 200 million user-generated study sets already on the platform. Quizlet’s games and activities help students study more effectively, and more than 95% of students who use Quizlet as a supplement to existing modes of learning report an improvement in their grades. With a free website and mobile apps, Quizlet is a great way to make revision more fun, efficient and effective. Linked to Scholastic’s leading Revision Guides (get 25% off from the Scholastic Shop), and recommended by teachers, parents and other students, it’s the best way to help you keep on top of revision and achieve your very best in exams. Download the free app for iOS or Android today! Browse the website based on your subject and the topic you need particular help with, or use the key materials to create your very own flashcards! 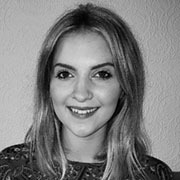 The website has been the choice of millions of students because it offers a huge range of both A level and GCSE subjects, the perfect combination of clear, detailed teaching material with punchy "you've got to know these" revision notes - all downloadable so take them with you wherever you go! 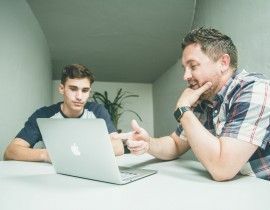 We love the section on 'Revision Secrets' with cool top tips, common slip-ups, memorisation secrets, 'magic minute' YouTube thoughts - but also support on how to deal with stress and workload pressures. Get Revising is a free service that has already helped more than three million students. It provides all the resources you could possibly need to ace your grades. 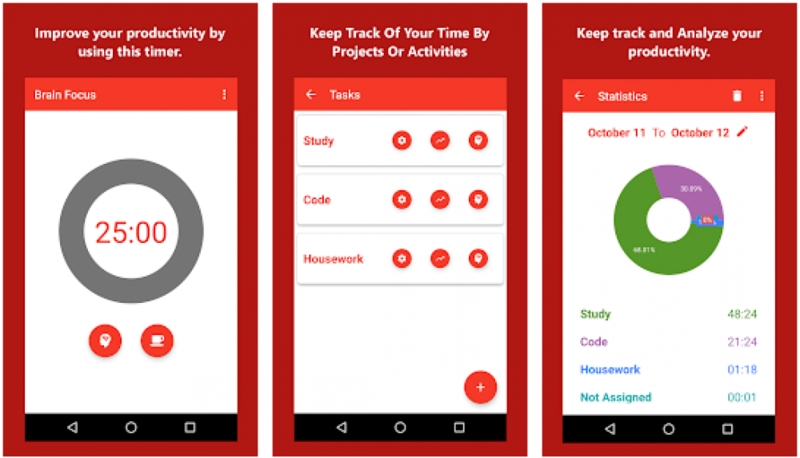 The smart study planner automatically timetables revision around your life and there are tools to make notes, flashcards, quizzes, mind maps and more. Everything on the site is shared through the Get Revising library which now contains over 300,000 resources! The Prime Revision app and software provides an affordable, accessible, interactive and effective online and offline learning platform for regular academic and professional courses. The app helps you to prepare and pass any school and professional exam, and helps you stay engaged with your subject - which is a difficult task in itself! Watch and learn from animated scenes, access fully digestible content without being overwhelmed and break subjects down into various topics and levels of difficulties. We love that you can track progress with smart feedback - with an intuitive dashboard and progress tracking to turn your weakness into strengths. LearnersBox revision apps make revision effortless, with awesome simplified explanations for difficult topics whilst using exam terminology, saving time for you to learn on the go. Each LearnersBox app has been written by A-Level examiners and teachers - their A-Level Biology app being the most downloaded science app on the app store! EduNow is a relatively new service, offering a plethora of useful resources perfect for maximising your performance at GCSE. With a desktop site and mobile app, you can learn at the comfort of your own home, or on the go! Download EduNow for access to a broad library of GCSE-focused content including top-scoring essays, high-quality revision notes and a complete list of past papers from AQA, CIE, Edexcel, and OCR. Gojimo is our favourite subject quiz app for any exams you have coming up - in fact, there are over 40,000 questions covering A level, GCSE, 11 plus and more. Test your knowledge with revision quizzes and read detailed explanations if you make a mistake. Quizzes are written to optimise your learning, with questions split up into bite sized chunks for better memorisation! These free and easy to use education apps bring great revision materials straight to your pocket, so you can revise wherever and whenever. 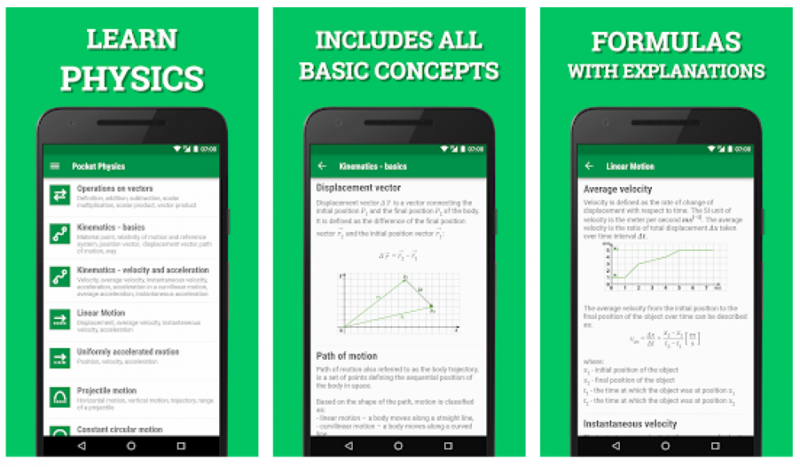 Each app covers core topic information and vital concepts, formulas and equations to help you become confident in your knowledge before an exam. Let’s face it, some of us just aren’t “maths people” (including myself may I add). However, maths is a core subject for many students in the UK, so nailing your exam is integral. The PiXL maths app successfully highlights your strengths and topics and areas you need to develop, so you can focus your revision time on the parts of your knowledge that really matter. The app is wonderful as it works with the AQA, Edexcel and OCR schemes of working. If English is your 2nd language, you may need a helping hand when studying for exams or completing essays. Countless 5-star reviews on the app store speak volumes! Stimulating, helpful, and calming. It also doesn't make me feel like a dingus if I get a word wrong. Instead, it gives me plenty of opportunities to get it right in the future." It seems pretty unfair that your anxiety can affect your grades, but dwelling on this isn’t the most positive step you can take. Accept that it’s okay to feel anxious, especially around exam time, but know there are little steps you can take to relax - and ultimately your well-being is the priority! HelloMind has an easy to use interface and research-backed support that aims to help students with exam and study anxiety issues. 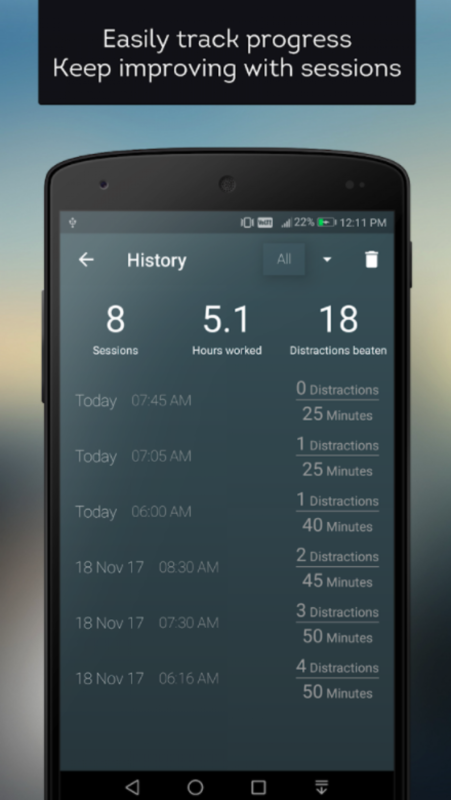 The app enhances concentration and motivation using hypnosis, a technique that encourages the brain to work in a deep level of mental focus. Know that your learning can be changed for the better, and that you’re always able to sink into more calming levels of relaxation. Students have a lot to juggle - and productivity and focus are among the top habits you're likely to be struggling with in your daily routine. One of the key features of Fabulous is their “journeys” - dedicated positive action paths that you can follow to improve focus, and better your productivity so you can be more efficient with your time. Fabulous looks at the holistic side of achieving success in education, which comes from teaching you how to get a better sleep so you can feel energized, how to squeeze in an exercise around a busy revision schedule, so your brain is fresh and active. Researchers at Harvard Medical School recently concluded: “Gratitude helps people feel more positive emotions, relish good experiences, improve their health, deal with adversity, and build strong relationships.” Research also shows the great affect gratitude has on productivity and helps you when you’re wondering how to stop procrastinating. 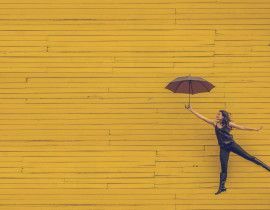 These emotions and positive experiences are integral during revision, a time when your mind is undergoing higher amounts of stressful experiences, and more vulnerable to anxiety. Grateful allows you to start your day off in a highly positive way by giving you an outlet to express gratitude and blessings in your life. Not sure where to begin? Grateful is wonderful, as it’s daily (editable) prompts greet you with a question, such as; 'What made you smile today'? You just have to say what made you smile, in as few or as many words as you’d like. You can even say it in a photo. The relaxation colouring provides has been proven to lower the activity of the amygdala, a part of our brain that is involved in controlling emotion brought upon by stress. Colorfy can help you during your revision downtime, by giving you an outlet to be creative whilst calming your heightened stress responses. You don’t need wifi, making it perfect for jaunts on public transport. With the app, you can colour and recolour the wonderful patterns and mandalas to reset your brain, and have fun at the same time! How you feel is important. In fact, how you feel is the most important - it affects your decision making, attitudes, and productivity. Whether you’re feeling anxious, negative, or stressed out from copious amounts of flashcards, Happify brings you tools to take control of how you feel. The techniques used in the app are developed by leading scientists, which shows through the whopping 86% of people who use Happify regularly and report feeling better in just 2 months! Unless you’re one of the lucky ones with a bottomless piggy bank and have your very own personal masseuse to loosen your shoulders after a tough day of graft, then we reckon you’re going to love this awesome gadget. 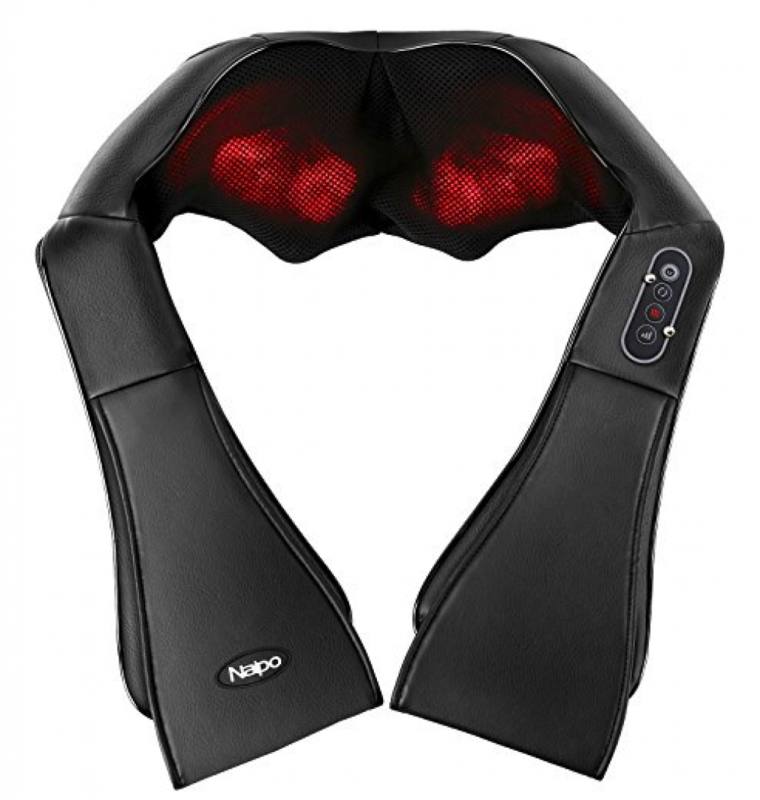 The Naipo Shiatsu Neck Massager is super easy to use and can be used to help relieve stress from all your hard work! There’s little worse than making a cup of coffee, knuckling down with revision, and find yourself supping a tepid cup of coffee wondering if there’s still any hot stuff left in the pot. Yecup may set you back a quid or two, but it’s worth it if you like your drink at a certain temperature - at every working moment. 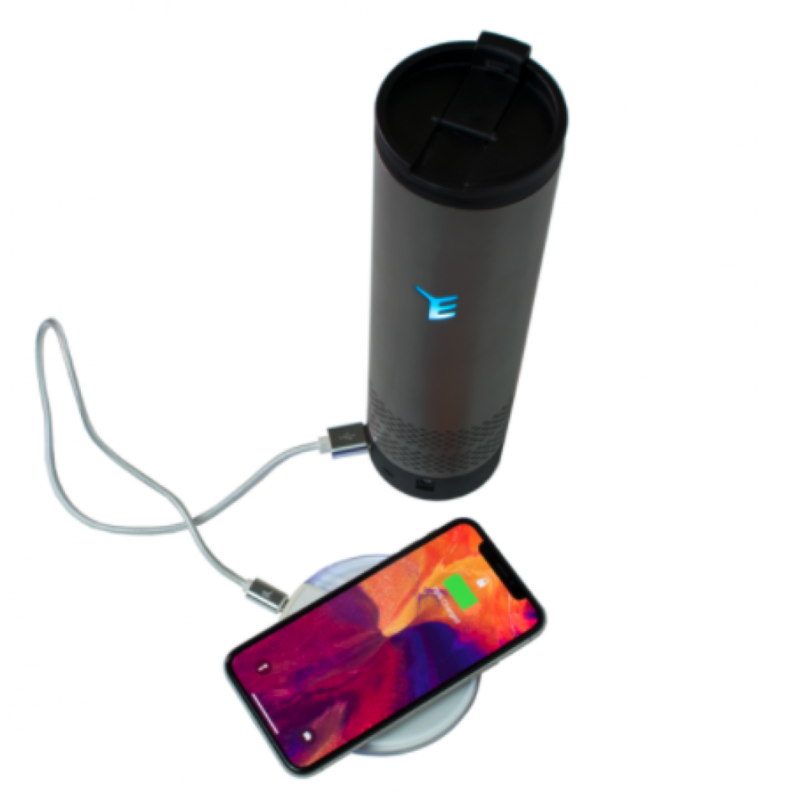 With the Yecup app, you can cool down and heat up any beverage to suit your mood and get notifications direct to your phone when your drink is ready. Check it out! Waking up with a full day of revision ahead can be daunting. This clock aims to heal your study blues and enables you to wake up feeling fresh and relaxed. 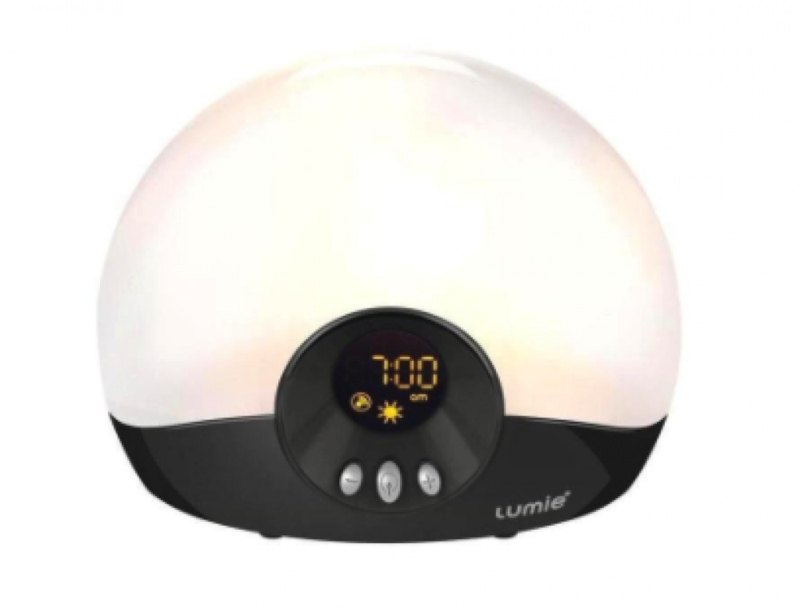 This sunrise mechanism gradually brightens over a 30 minute period and wakes you up at the optimum point in your sleep cycle, so you can avoid that dreaded groggy feeling! Have you ever heard of Pavlov’s Dog? Psychology students? It’s basic conditioning - by reinforcing positive behaviors with rewards, you are more likely to repeat the positive behavior. Well, say hello to your new revision reward: jelly beans. 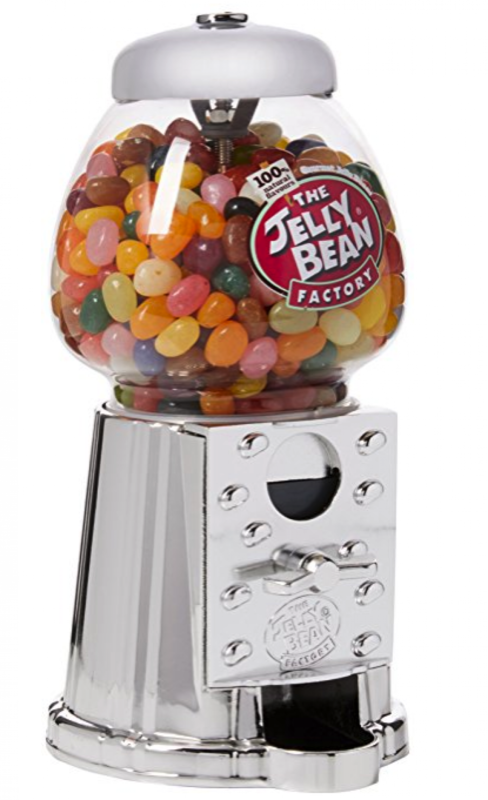 Set yourself a goal to aim for, or a set amount of time you are going to revise, and treat yourself to a turn of the jelly bean machine when the task’s complete. A very tenuous excuse to buy a retro sweet dispenser, but we like it. So we’ve found a way to keep your coffee steaming, but as summer looms closer, you may just want an ice cold glass of water to reinvigorate your senses during revision. However, I’m sure you’ll agree there’s nothing more disheartening than chugging down a bottle of warm water. Say hello to CupCooler! A novel device that takes your drink from room temperature to ice cold in just 30 minutes. 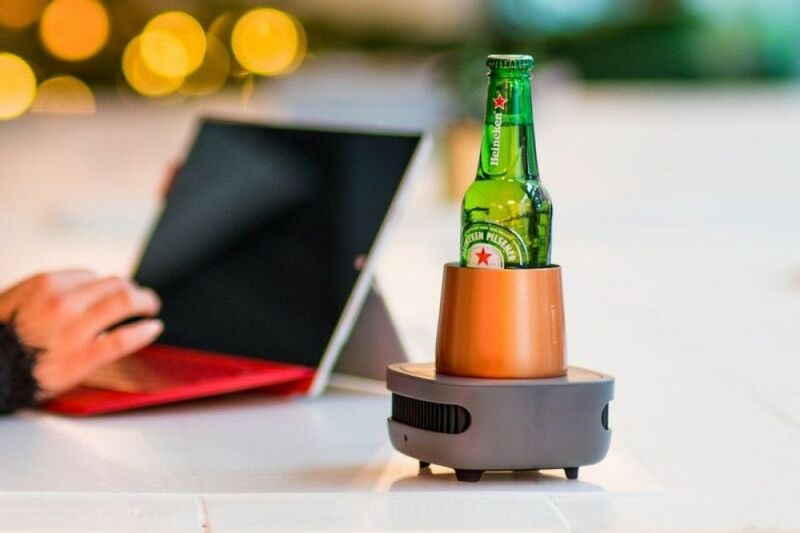 No ice needed, and compatible with the majority of cans and bottles on the market - CupCooler will be your new favourite revision buddy. So there you have it! If you have any more suggestions for great revision tools, feel free to email me at rachael@tutorful.co.uk.